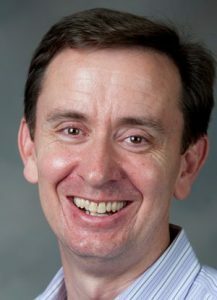 The founding director of the Center for the Advancement of Teaching and Learning, Peter Felten is now Assistant Provost for Teaching and Learning, Executive Director of the Center for Engaged Learning, and professor of history. His recent publications include the co-authored books Transforming Students: Fulfilling the Promise of Higher Education (Johns Hopkins University Press, 2014) and Engaging Students as Partners in Learning and Teaching (Jossey-Bass, 2014). From 2010-2011, he served as president of the POD Network, and in 2014-2017 as vice president of the International Society for the Scholarship of Teaching and Learning. He is currently a co-editor of the International Journal for Academic Development. Amy Overman is professor of psychology and associate director of the Center for the Advancement of Teaching and Learning. Overman is a cognitive neuroscientist and an expert in learning, memory, aging, and the brain. As a teacher-scholar, her primary research focuses on memory and other cognitive processes; she is an active mentor of undergraduate research; and she teaches courses on neuroscience and memory. Overman is interested in how cognitive science findings can be applied to improve teaching and learning. She is also interested in STEM education, faculty mentoring and career development, first-generation/first-in-family topics, transparency in teaching, undergraduate research mentoring as teaching, and the interaction of intellectual climate, social climate, and student learning. Derek Lackaff is associate professor of communications and associate director of the Center for the Advancement of Teaching and Learning. Lackaff currently teaches primarily in the Interactive Media MA program, and has experience teaching in the undergraduate communications curriculum, the Honors program, and the Core curriculum. His scholarship has focused on new opportunities afforded by digital communication technologies, in contexts ranging from democratic participation to endangered language preservation. Lackaff is interested in a wide range of teaching and learning topics, including global education, curriculum and assignment design, collaborative work, intercultural competence, and civic engagement.